Wake up Bristol – our brand new hotel is opening its doors 8th December. Bristol is one of the UK’s most exciting cities, famed for its picturesque waters, stunning scenery, maritime history, vibrant nightlife and of course, hot air balloons. Opening in December, our hotel will put you in the heart of everything Bristol has to offer. Located just north of Bristol in Filton, our hotel has plenty of parking available, and we’re just round the corner from the UWE Exhibition and Conference Centre. The M5, M4, and M32 are all within easy reach too, making our Bristol hotel the perfect place to discover the best of the South West. 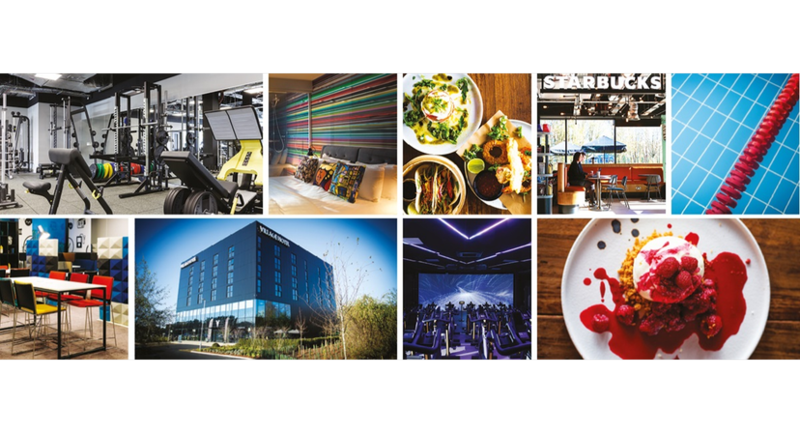 At our Bristol hotel, you have everything you need in one location, with a pub, restaurant, and Starbucks, a game-changing work space that offers flexible memberships in a creative environment called Vworks , as well as a state-of-the-art gym and swimming pool. Not to mention our super comfortable rooms, with flat screen TVs, a Tassimo coffee machine, and free WiFi throughout the hotel. This is what Bristol’s been waiting for.